I have just received my Laser comp inner back from Terra Nova, repaired and as good as new. 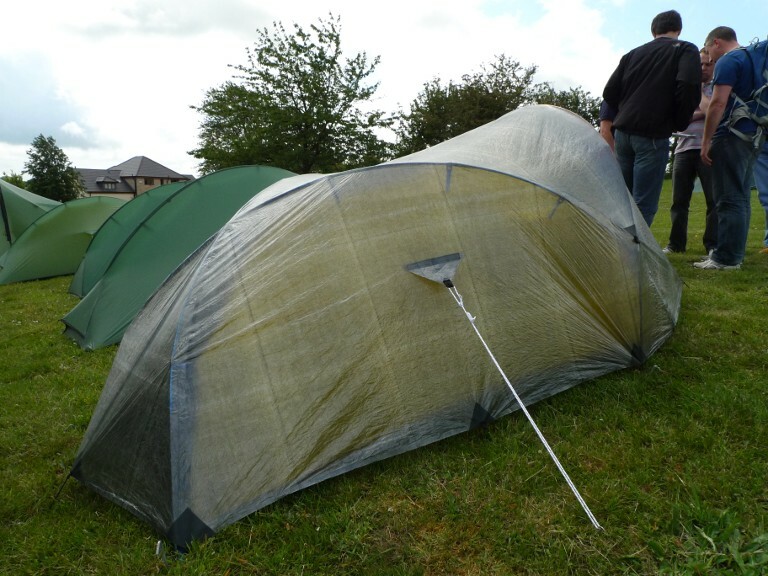 I sent it off three weeks ago after the cord that holds the carbon fibre pole tore through the groundsheet and became detached. I have always been a bit dubious about the meaning of ‘life time guarantee’ as this leaves things to the discretion of the manufacturer. 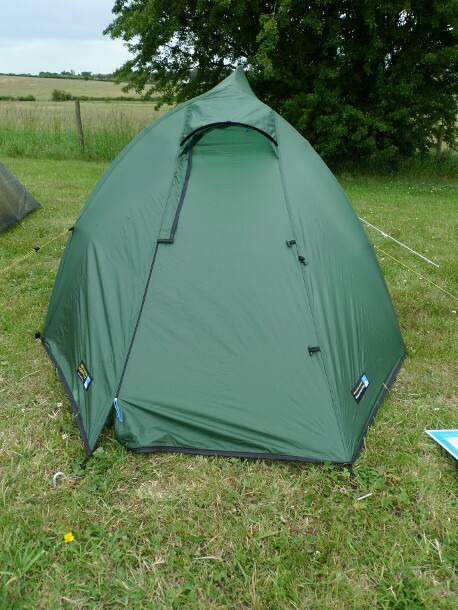 My tent was exactly three years old and I was expecting Terra Nova to charge for the repair. You have to send the faulty item back to them with the receipt and a form detailing the fault / damage. Shortly after posting I got a prompt email from them saying that it would be repaired under guarantee. I asked them if they could re-enforce the cord on the other side whilst doing the repair, which they have done. I suppose that we so often put up with poor customer service that we end up surprised when things go in our favour! My camping experience last weekend shed some major doubts in my mind on the Laser Comps capabilities in bad weather. You can read my post on the trip here. Whilst camping the first night the weather was much worse than anticipated. Although the comp did not actually collapse the noise that it made whilst flapping in the wind was so loud that I barely slept the entire night, this then impacted on my enjoyment of the rest of the weekend as I was totally knackered from lack of sleep. On the second night I discovered that the pole that supports the end of the tent had ripped away from the ground sheet of the inner leaving a hole. Now this is something that perhaps happened whilst tensioning the pole guy rather than storm damage. 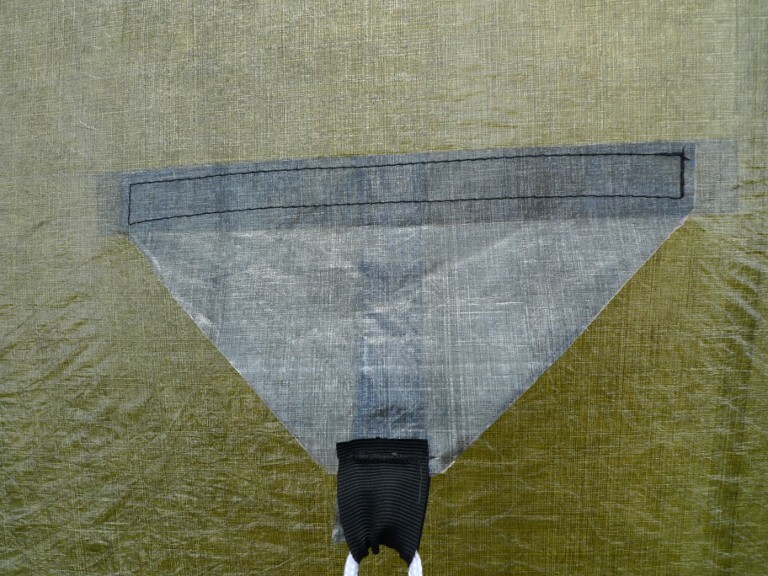 If this is the case then the fault was down to poor construction as stitching should not fail whilst tensioning a tent to get a taut pitch, especially in a tent such as the Comp where correct tensioning is essential in getting a perfect pitch. As my sewing skills are not up to much I will get in contact with Terra Nova to see if they will repair it for me under guarantee. I have had the tent since August 2006 so fingers crossed they will not refuse. 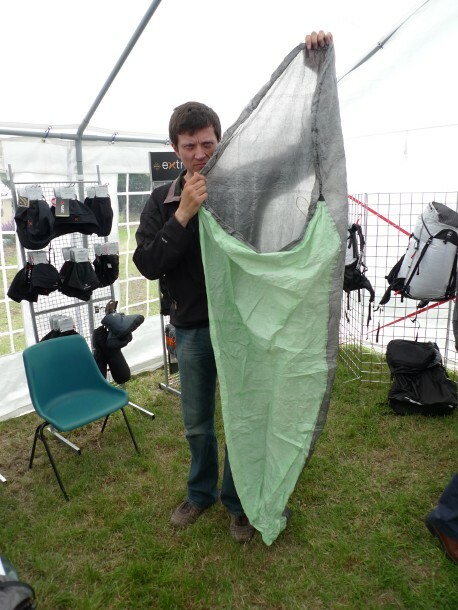 Now I do have a confession to make – I never really fully bonded with my Laser Competition tent. The only reason why I have continued using it over the years is because it is so light, it really has made a difference to my pack weight. So in that respect it has been great. However I have never really enjoyed actually sleeping in it. Firstly it can be a real bugger to pitch and if you don’t get it right it will be a mass of baggy material. I have spent many a breezy night with its material slapping me a across the face with each gust of wind. Secondly I find the inner to be just on the bareable side of claustrophobic. Being fairly tall I find that the inner tent is just a little bit close to my face for comfort. I have also had great problems with condensation when using the comp as there is no real practical way of venting it without leaving the fly door open, which I often do if it is not raining. When totally sealed I find that condensation forms on the inner tent above my head and torso, this then dampens my down bag when I sit up. 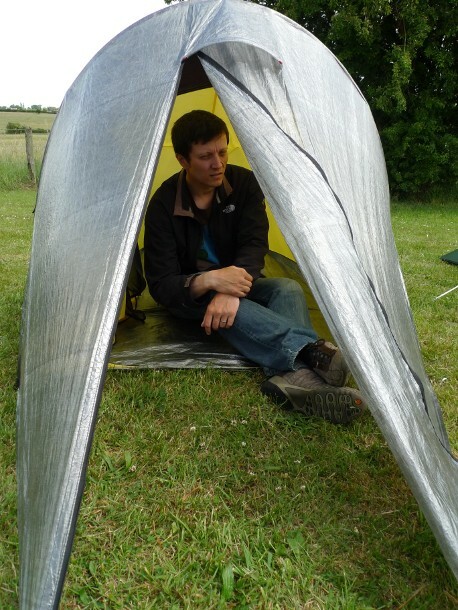 This got so bad that I brought a lightweight bivvy bag to use inside, this helps but them negates the benefits of using a lightweight tent in the first place! 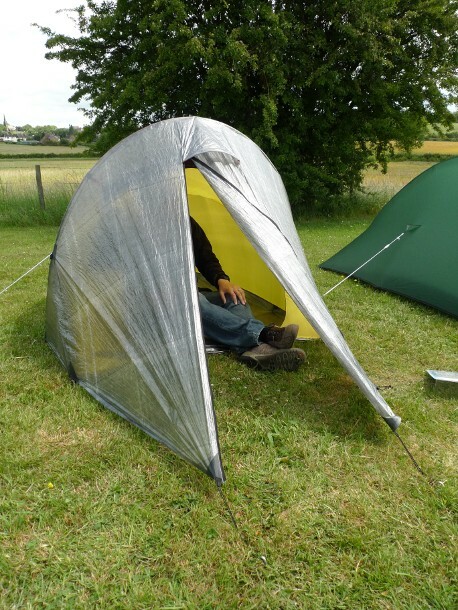 Finally after a wet condensation filled night I want to disconect the inner from the outer to stop the inner tent from getting wet whilst packing. 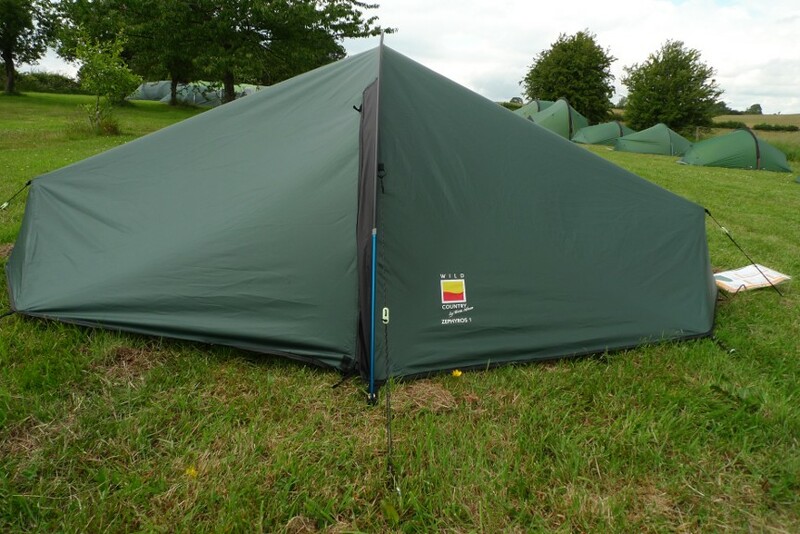 This is really fiddly to do with the end poles being conected to both fly and inner tent (well not on mine now!). 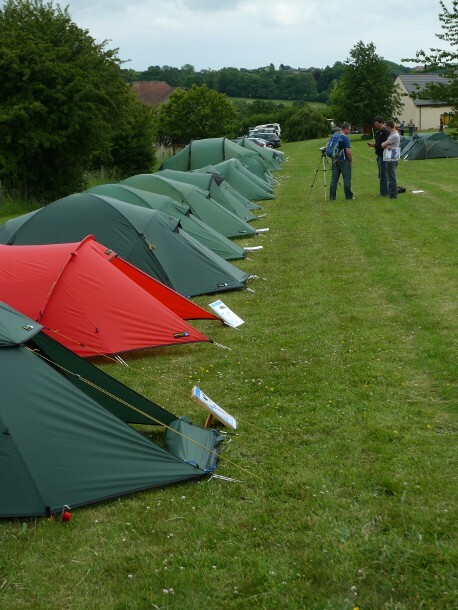 I therefore end up stuffing the whole lot into my sack meaning I have a wet inner tent when packing the next night. 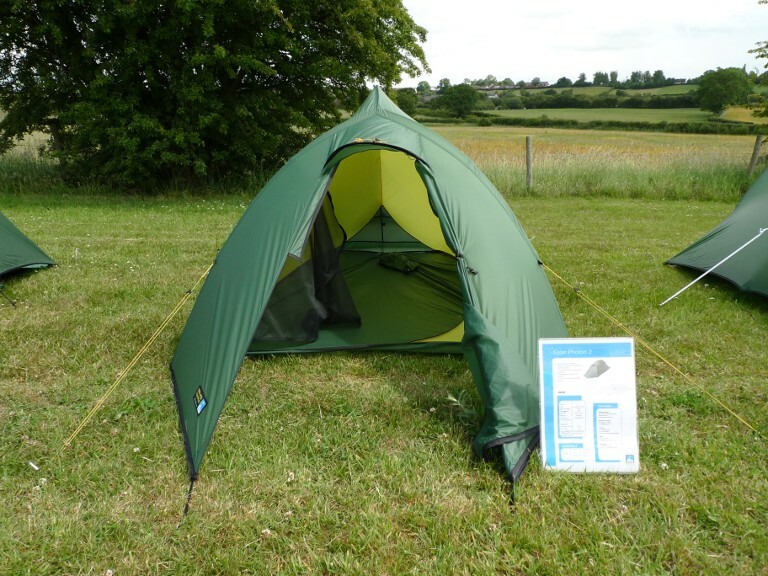 For years and years (since 1999) I have used a Hilleberg Akto tent that has always performed superbly and has never let me down. The only negative has been with the weight, I have an old model that weights in at 1.8kg. 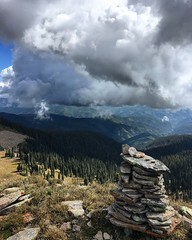 It has stood up to winds that were so strong that I could barely stand and monsoon strength rain storms. Hundreds of nights on the hills and it is still going strong (ok the pole is now a bit of a weird shape due to a rather lively gust of wind). 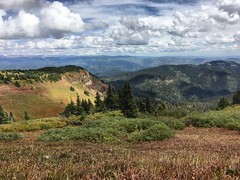 It is about time that I got reaquanted with it, a bit more weight in the sack but at least I can go back to camping on mountain summits without a worry. I brought my Laser Competition tent pretty much as soon as it came out but could never really fall in love with it. 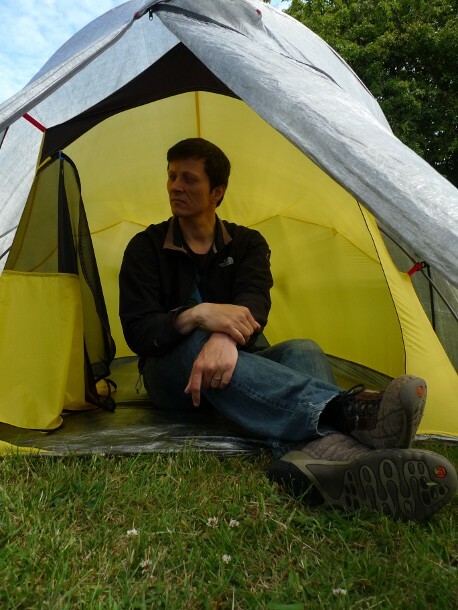 I always ended up taking my tried and tested Hilleberg Akto on backpacking trips. When backpacking through wild and remote places you really do need to feel confident about the gear that you are using. However recently I have read loads of blogs where the authors really rate the usability and stability of the laser comp. This and the fact that it weighs considerably less than the Akto persuaded me to give it a second chance. I will be doing a 6 day east to west coast crossing of the Northern Highlands in 3 weeks which means carrying 6 days of food. Weight is therefore a major consideration so I decided to dust off the Laser Comp for my backpack last weekend. I ordered some Vargo titanium pegs and added some north face ‘v’ pegs to replace the carbon fibre ones with the annoying tips that come off. When packing the night before I noticed how much smaller and easier it was to pack than the Akto. 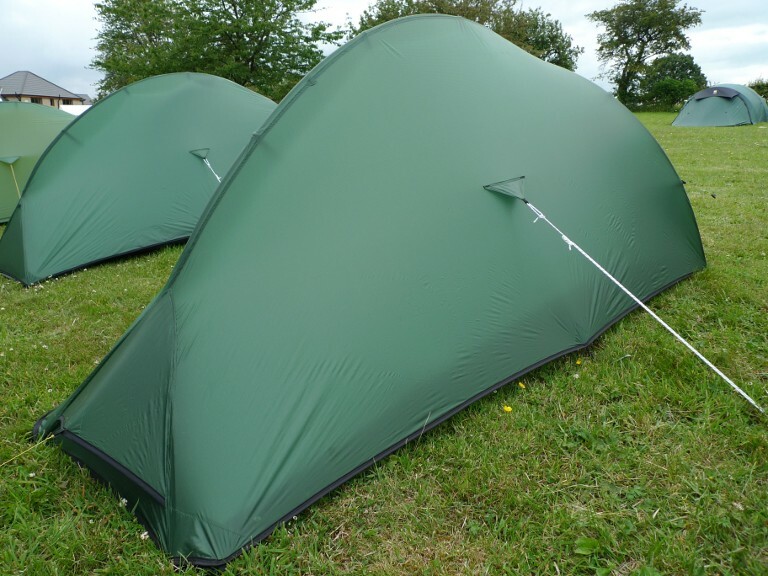 We found a great high moorland camp in the Yorkshire dales on a level grassy area. I was surprised when I managed to get a perfect pitch first time. I think using ‘v’ pegs to secure the end guys really helped, pulling them as taught as possible. I used separate pegs on the inner end poles this time pulling them out as far a possible. This all helped to get the perfect pitch. The night was still and cold and I awoke to find the inner wet through with condensation. 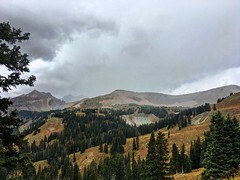 I cursed when I sat up and brushed the hood of my sleeping bag against the inner wetting it. The foot of my bag was also damp as it had also been touching the inner tent. I fell back to sleep and was woken at dawn by a strong wind and a fine drizzle of condensation was being shaken onto me. However the tent shrugged off the wind and I dozed for a couple more hours. 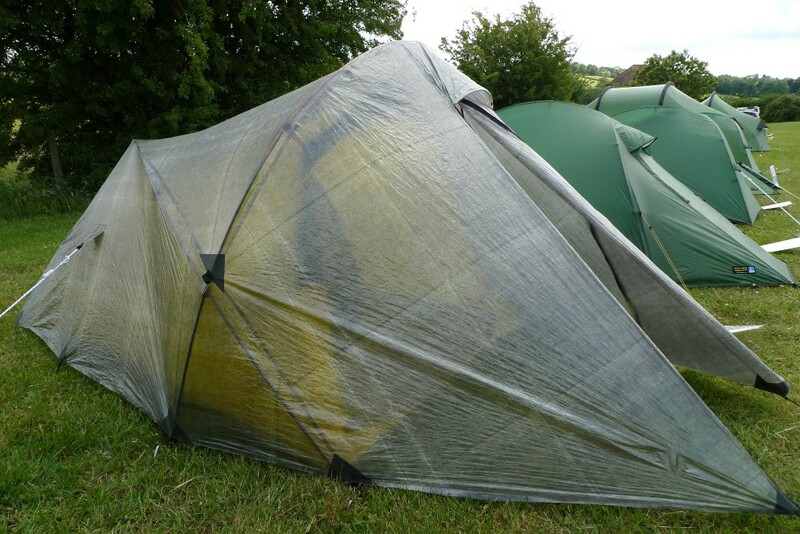 When I got up I wanted to find a solution to the condensation problem and dry out the tent before packing. I had the idea of unpegging the end facing the wind and clipping it to the inner pole tensioner. This looked pretty neat and the tent soon dried out. Next time I use the comp and it is not raining I will do this on both ends to see if it will prevent condensation from forming. 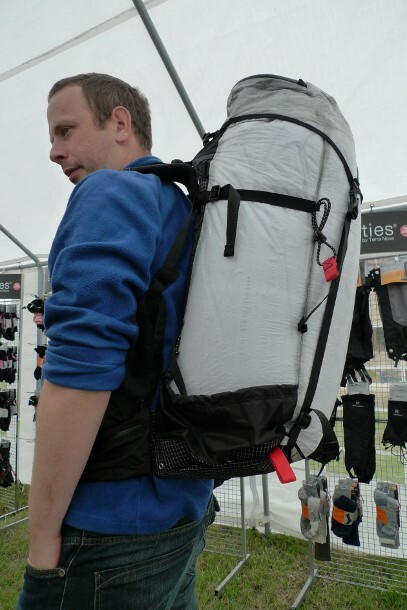 My planned backpack next weekend should give me an opportunity to try this out. 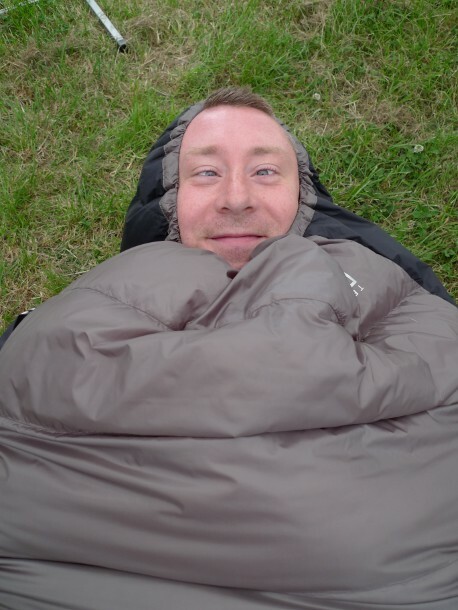 Yesterday I also received a Rab ultra bivi which is sold as a sleeping bag cover. It weighs in at only 225g. This should hopefully stop any damp patches on my down bag and will replace the plastic survival bag that I carry – so no weight gained!